Get ready to set your alarms, dreamers! Media Molecule has announced exactly when Dreams Early Access will be hitting the PlayStation Store. Media Molecule had previously announced it would be releasing on April 16, 2019, but now we have release times, as well. Normally it wouldn’t be important to make note of a specific time, but for Dreams it is, as Early Access will only be available in limited quantities. #DreamsPS4 Early Access will be live on the PlayStation Store, April 16th, at 10:30AM BST for EU/Russia/NZ/Australia users, and 8:30AM PDT for NA users! We can’t wait to welcome you all to the Dreamiverse next week! For all of you on the East Coast, Dreams will be available at 11:30 AM EST. It’s not exactly known how many spaces will be available for Dreams, though it will definitely be limited. While it’s entirely possible that it will go back on sale following launch, getting in early is the only way to guarantee a spot in this. Dreams Early Access will be available at a reduced price of $29.99, and all owners of it will be able to upgrade to the full version once it becomes available. However, there’s no clear release date in site at the moment. In addition, there’s no word on a release for the Dreams VR component or its campaign at this moment, though they are both still in the works. Thankfully, there won’t be any pesky NDAs this time around, so all dreamers will be able to share everything they find in the Dreamiverse as they please. 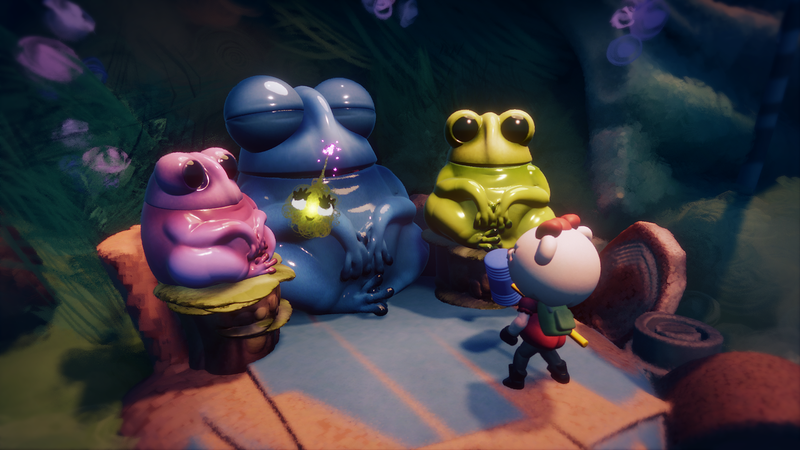 Dreams Early Access will release on April 16, 2019 for the PlayStation 4. In other Dreams news, it was announced that it Dreams will come to Japan later in April, as well. Will you be marking your calendars so you can be exactly on time? Let us know!